It is because I have cracked the code and I am going to share it with you! Timing is everything they say. Well they were right I have mapped out the ideal times for you to post your photos and on what days. 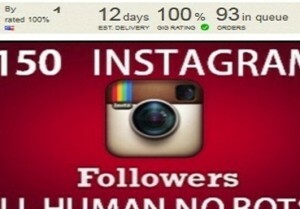 PAY ATTENTION posting the pic just 1 hour earlier could make a 70 percent or more difference! These really work and amazingly, wait until you try it! I am JMHHACKER on Instagram and have 80,000 followers and average 1129 likes per photo and 56 comments. 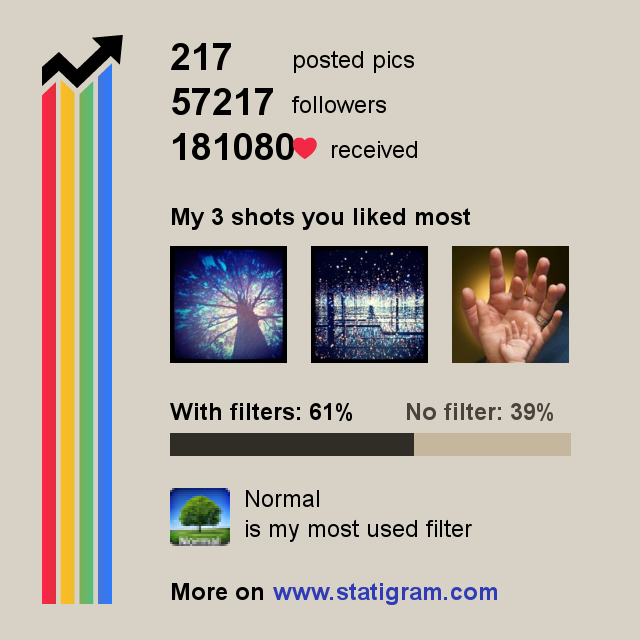 GO to STATIGRAM.com I use it daily. Check out my account to see for yourself this was done in 30 days as far as the followers I got! 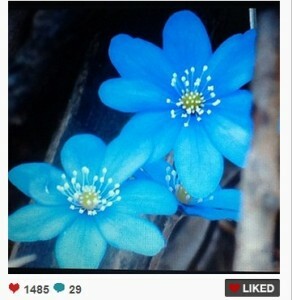 I have the proof with the picture from statigram with likes and followers. I gained 1100 followers a day even now. That link will show you my acct. and that I did do it, now here is how I did it. Here you go, Ok All of this works takes a little time each day 15 to 20 minutes on your side there is no magic bullet but my method is 20 times faster and a higher ratio of people follow back. OK so I set up my account and in 30 days had 35000 followers and 60 days 68,000. An extra 400 come in daily to this very day for 68010 as of writing this. Here is how I did it. I search for hash tags like friendly, LIKE, ADD, FOLLOW SMILE HAPPY NICE LAUGHING as they seem to have a good outlook on things and follow back more often, I viewed their followers always view someone’s FOLLOWERS not who they are following and always check to make sure they have more followers then they are following. What I mean by ratio is if they are following 2000 people see if they have less than 1000 followers. If they do follow their followers. ie following 2700 but have 1000 followers. Then follow 200 of their followers that is the limit then find another person and do it again. The average nationally is 9 percent follow back while mine is 78 percent quite a difference. Let it sit overnight then the next day if you want to unfollow you can I personally do not and my account has blasted off! .These four apps will enhance your Instagram experience, from helping you to find specific photos to making your own photos more creative, so prepare to spend even more time on Instagram! Instamap, a fun app for iPad and iPhone for use with Instagram, allows you to browse through Instagram pictures by location, tag or user. No matter what part of the world or which tag other users choose, you can see the corresponding photos as they’re posted. Photos can be viewed in tile view or as pins on a map. If you’ve ever wanted to add your own words to your Instagram photos, you’ll love Labelbox, an easy-to-use photo labeling app that offers beautiful tapes that stylishly labels your photos. Simply select one of the 11 free labels, swipe and add your text. If you love those labels and want to experiment with even more, you can buy 12 more within the app. Once you’ve created your final product, simply save and import to Instagram. 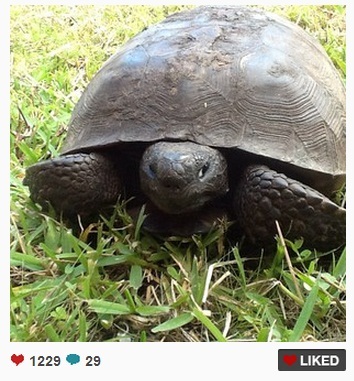 Labelbox also allows you to post directly to popular social sharing sites like Facebook, Twitter and Tumblr. Wordfoto allows you to choose your own words to turn your photos into unique word-based art. This app offers eight easy-to-use presets and also includes a wide variety of customization features. You can play with colors, fonts and shadows to create your own work of art. 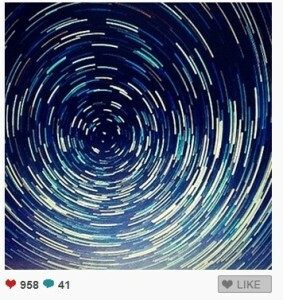 Once you’re done, you can easily upload your saved photo to Instagram and other social sharing sites. I researched applications available for Android that can help you enhance and improve your photographs. Here are a few apps for simple and quick image editing to get you started! For basic image editing, Adobe Photoshop Express is a great application! It gives you the ability to alter exposure, saturation, tint, contrast & brightness quickly for simple image edits. Everyone loves combining multiple photos into one! A simple and easy to use application, Diptic, allows you to combine up to four images into one single frame. Be sure to check out this Photo Tips blog on combining images for some great tips! Have you ever captured the perfect shot right when someone starts to walks through the frame? Or maybe you want to remove those unsightly wall plugs & switches in order to redirect focus to the decor. While happy accidents can create beautiful “right place, right time” photographs, the TouchRetouch application can help remove unwanted content from photos! You will have a very high chance they follow back IF YOU LIKE ONE OR 2 OF THEIR PICS THEM FOLLOW THEM YOU WILL GET LIKES AND FOLLOWERS I DO IT EVERY DAY and I get a ton of IG action…stay away from the big fish people with over 5000 followers their followers are not as likely to follow back until you yourself are a big fish HA funny how that works… Also to triple your chance they follow back like one of their pics. Remember in a few days you can just unfollow everyone but you will still have your followers. The method I am telling you to do speeds this up times 20-30 trust me. I simply followed them one at a time as many as I could each day I set a time every morning at 6 am to 615am. I did this every day for 15 minutes a day and the followers started coming in. In fact they come in to this day. Remember IG set a new rate limit when you hit that limit go from following people to just liking peoples photos until the rate limit is lifted 5 minutes or so then start following again. I hit the popular page with my own account 3 times which is great have photos with 4400 3800 and 3400 likes and over 200 comments each. ALWAYS Share your photos on other social networks. These include Facebook, Twitter, Foursquare, Tumblr, Flickr, and Posterous. If you don’t have accounts for those social networks, start one up today. I tend to share every photo on every possible network. For instance, I post daily deals solely on Twitter I share a on Twitter to push that fact we’re on Instagram. Link to your web.stagram somewhere from your website. 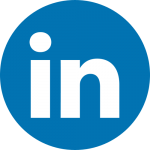 Most of us strongly push Facebook, Twitter or LinkedIn, but if you’re serious about Instagram, then link to it as well…especially from your mobile website. You can Pin gplus tweet and many other features! Be sure to blog that you are participating on Instagram. Also think about using Instagram photos on your blog occasionally and link to your profile or Instagram itself. Follow “Suggested Users” by clicking “@(YourAccountName)” tab and selecting “Find Friends” then ”Suggested Users”. Following users that have similar interests as you may encourage them to follow you in return. Just following everybody will gain minimal followers. Make sure “Photos are private option” is off. It should be by default. This is a no-brainer. Obviously if you wish to gain followers, your photos should not be private. Thoroughly describe your images. You can comment on each picture so put some time into the writing. Use hash tags, especially popular ones. 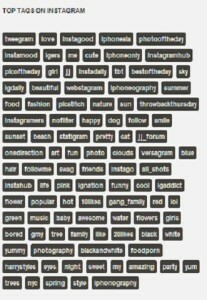 Popular tags include #sky, #cat, #dog, #flower and #sunset. Tagging your photos with these hash tags, when appropriate, can increase the odds of your images being seen by others. Copy hash tags from “Notes” app. After you’ve used Instagram for a while, you’ll notice specific hash tags you’re commonly using. Keep them stored in “Notes” so you only have to copy/paste into Instagram. You can add the most popular or effective hash tags to the list so you don’t forget to use them. Be sure to only use hash tags appropriate for the photo being shared. This is an important step in helping you remember to use effective hash tags for each post. Hash tags will attract likes and follower’s if your posts/photos are worthy. Engage by following others and commenting/liking. By engaging with others, you will likely attract some followers, especially if your photos are interesting. 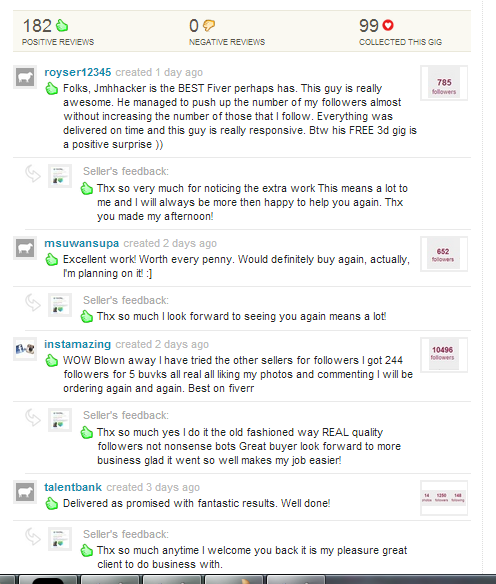 Commenting on a persistent basis will help tremendously in attaining followers. 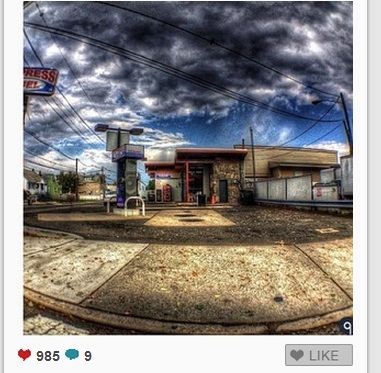 Commenting on popular photos works very well, but be authentic with your comments and not advertorial. Geotagging is important like hash tags, geotagging provides another data point that can be used to categorize and display content. On Instagram, each defined location has its own page, which includes a map of the location and any photos taken there. Announce your profile in an email blast to current friends followers etc letting them know you’re now on the photo sharing app. Add Instagram to your website too. Don’t just emails blast the fact that you’re on Instagram. Be sure to add Instagram on your website somewhere like you might do with Facebook and Twitter. If you have other social network icons floating around your company website, add Instagram too. Update: The following are more tips I’ve added after using Instagram for a while. 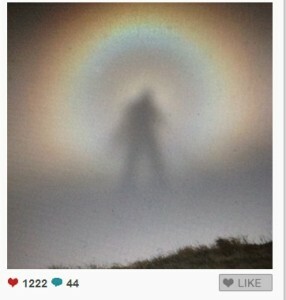 Keep up with Instagram’s blog and participate with the numerous photo contests. One person to follow in particular is Instagram team member, Jessica Zollman ( @jayzombie) who holds a contest every weekend where everyone tries to snap a photo concerning a specific hash tag. Participating in the contest each week will gain you popularity and a few new friends. 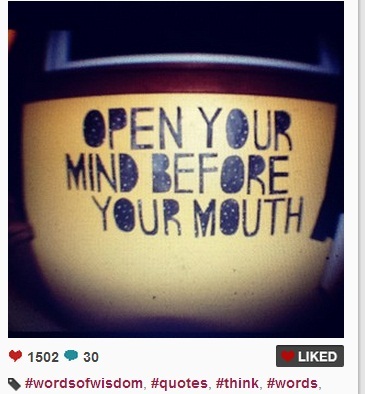 Don’t be afraid to comment on popular photos by celebrities, but be genuine with what you say. If you have nothing to really say, then don’t. Use “likes” a bunch! People will return the favor and possibly start following you. You can use “like” liberally, but don’t get TOO crazy with it or people may actually stop following you. Instagrammers appreciate when you “like” their photos and generally return the love. Only follow those you care about or enjoy. I promise that you will enjoy Instagram more this way, and you’re more likely to continue participating and building your own circle of friends if you’re having fun. Sign up with followgram.me to make it even easier for people to find and follow you. This service offers an easy way for people to follow you outside of the actual Instagram app. Use Instagram analytics services like Statigr.am to help put things in perspective with all kinds of historical data concerning your account. Statigr.am shows which of your photos have received the most “likes” over time, and which ones received the most comments. Try to look for consistent trends in your most popular images and try to capitalize on those strengths moving forward. 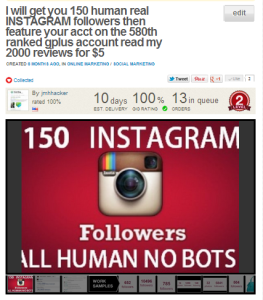 Plain and simple: This service gives amazing insight and understanding of your Instagram account. Be humorous with your comments. Everyone appreciates a good laugh and if you’re consistent, it will lead to more followers. Offer tips and advice. I started sharing mine in comments- which lead to more likes and eventually will lead to more followers. Thank people. At the end of the day, be sure to send thanks to everyone who commented on one of your photos. 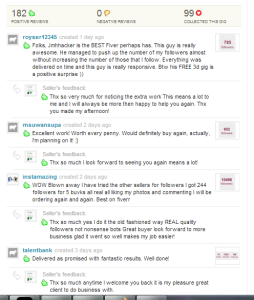 For instance, you would type something like: @jmhhacker thanks for your comments! This is not only considerate but also represents social at its finest. Be genuine. Instagram is my favorite social network right now so I ask everyone to be genuine, have fun and snap away! Before hosting photo contests, you may want to participate in them first. Tagging your photos makes them easily found. Picture of the sun use very popular hash tag #sun, that photo will show up alongside thousands of others on the page for that tag. REMEMBER only follow people on the followers list of someone’s account. Once you have your own followers click one pull up their followers and click away you will find people stick in groups and will follow you back..
Another tip go to the popular page and follow the people that are liking or commented on the popular photos that means they are online right that second and will see you follow or like their pic. They will most likely follow back they do for me! friends. People will follow you back they just will. Have a few photos taking obviously on your profile and you will be good to go. it is incredible!!! Simply put in any word hit enter and all photos with that tag word on instagram pop up. I do mean any word at all, cat, girl, klout, even baseball card type it in and bam pictures pop up for that word. Hash gram is the best way to discover and share what’s happening on Instagram. Formed in 2011 at designed a simple web-based “no app required” search and share utility for Instagram. 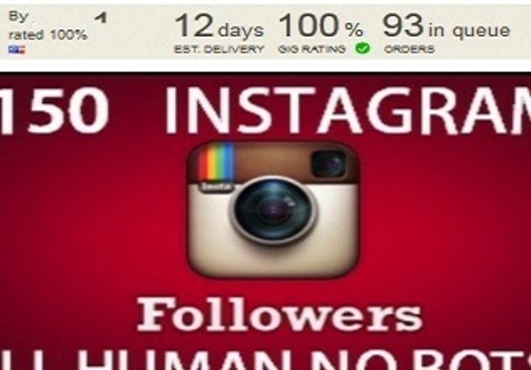 Since then, Hash gram has grown into a real-time discovery platform used every day by people all over the world. Tags are descriptive metadata assigned and associated with each image posted to Instagram. Adding a few content specific hash tags to your caption allows users to search and share images on Hash gram based on their interests. Here are the top 20 hash tags also.. So 2-4 hours total time put in whether in a day or 10 minutes a day for 30 days will get you thousands of followers go longer you can hit 100,000 or more all up to you now. I am here if you have any questions the key is to have fun doing it as the new likes on your photos are coming in as non-stop followers are coming in when you see one of your photos get nearly 5000 likes it really is awesome! To unfollow once you have followed many a quick and easy way is IGExorcist, a free service that allows you to determine followers who have not been engaged with you in recent times. Make sure “Photos are private option” is off. Sign up with followgram.me helps people find you…there you go that should get you running for now! Need anything from me later on just ask me, take care appreciate feedback and a thumbs up! it with your own I still had 8 followers come in today! Months later! Appreciate good feedback. I wrote this from my exact experience no PDF e book or nonsense like that; this is my experience and the results I got for me and for my friends. Now you can get those results. When you sign up there is a Suggested Users, IG users who the Instagram Team suggests you follow. Instagram launched the Suggested Users List last This feature is similar to the Twitter tool . If you are on it you are set!). Being on The Suggested Users list means your follower numbers will suddenly surge and keep on rising by the hour. 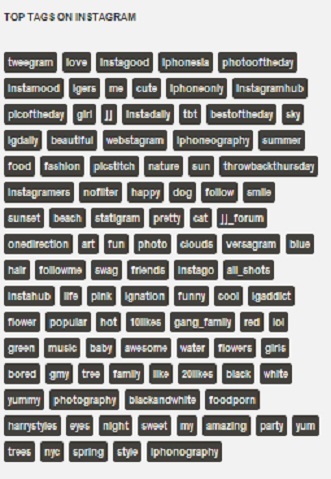 Here is what instagram looks for to make the list quoted from instagram themselves! – A Suggested User posts beautiful, original content and brings a unique perspective to Instagram. – Instagram is a photo-sharing community. In promoting Suggested Users, Instagram seeks to highlight members of the community with exemplary content and conduct in line with its Community Guidelines. – Instagram is always looking for new and exciting content to surface. To present new users with a curated set of talented users, they continually review, add and remove users from the list The list will be designed to be refresh in an ongoing way rather than stand as today’s permanent suggested users list. – Suggested Users act as community ambassadors, and help cultivate the larger Instagram community. In the last few months I’ve heard a lot of different stories some other people got it after sending a mail to Instagram Team (explaining their “credentials” and proof of involvement within the app). Some applied directly through mail and asked to be part of Suggested Users Lists. Being active in Instagram communities’ development or leading yourself a cool project around Instagram can be a strong asset. This is all my knowledge about the subject on Suggested Users List GL. OK so below I have the best times and on what day to post your photo. Keep in mind these times are Eastern timezone USA. SO IT IS CRITICAL to use hash tags on every photo which gives the photo a better shot at being liked and commented on by people that do not follow you. Here are the best of the best. The top spot still is tweegram followed by love instagood iphonesia photooftheday instamood igers me cute iphoneonly instagramhub you can read on from there!